We are proud to publish our second Public Service Pledge which demonstrates that we continue to invest in our people, communities and the customers we serve. We operate efficiently and invest profits into sustainable practices and innovation to help enhance the quality of private and public service delivery. Our pledge identifies key public service areas and initiatives which we promise to commit to, measure and report on annually and meets with the principles of the Public Services (Social Value) Act 2012. An ethical culture, with clear guidelines and leadership within a business, is crucial. Our Business Integrity Code is of vital importance, underlining our intolerance to any practice not born from honesty, integrity and fairness. In the running of public services, the private sector must be fully committed to consistent delivery of promises, outcomes and value for money and demonstrate a real public sector ethos through the delivery of services. As a company that promises to improve the quality of life of people, corporate responsibility lies at the core of everything we do. Better Tomorrow 2025, our sustainability roadmap, is designed to keep us on track in relation to our aspirations as a responsible business and consists of nine commitments. Each commitment has an associated target against which we will track and report on our progress. Our aim is to increase spend with listed suppliers to positively contribute to the Better Tomorrow 2025 target of £200m of our business value benefiting SMEs and improving the quality of life of women in our communities. Sodexo is a member of MSBUK, WEConnect and Social Enterprise UK as well as a strong supporter of Enterprise Nation which support our strategy including introductions to SMEs. Currently over half of our core supply chain are SMEs or social enterprises. We also monitor the company ownership of these suppliers – more than 10% are women owned. Read our blog by Adam Sopher, Director of Joe & Seph’s popcorn (pictured right), a small business which is a member of our Supply Chain Inclusion Programme. We have a corporate foundation called the Sodexo Stop Hunger Foundation which distributes approximately £300,000 a year to charities tackling hunger and malnutrition in the UK and Ireland. In 2017 we launched a volunteering drive. This drive engaged 1% of our colleagues in volunteering opportunities in a three month period; our pledge is to double the number of our colleagues volunteering in the coming year to 2% of our workforce. We pledge to abide by a code of ethical practice and, through our Business Integrity Code, we will not tolerate any practice that is not born of honesty, integrity and fairness, anywhere in the world where we do business. At Sodexo we are committed to the importance of promoting equal opportunities, valuing diversity and creating an inclusive working environment for all our employees. 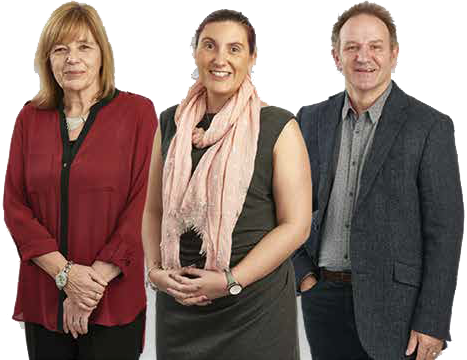 Gender balance is vital to the success of our business and our research shows that gender balanced management groups (with 40-60% women) perform better than those management groups that do not fit this balance range. We pledge to become a Disability Confident Leader as part of the Government’s Disability Confident Scheme. 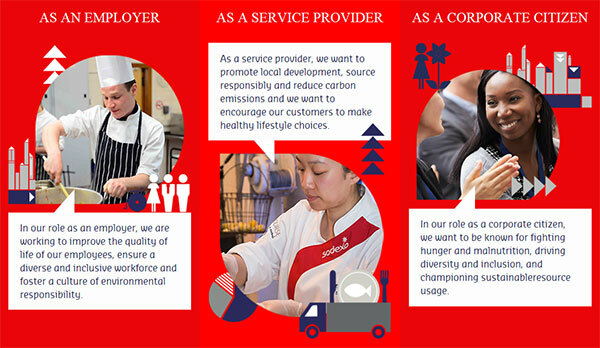 Sodexo has made the global commitment that by 2025 our programmes for people with disabilities will reach 100% of our workforce. We’re committed to providing a work environment where people can bring their whole selves to work – this includes those with disabilities, who are often a source of untapped talent. To mark the International Day of Disability Sodexo launched the 'Open-up' campaign, as part of our plan to create an inclusive workplace for all our employees. The campaign featured case studies of stories from some of our real colleagues with invisible disabilities. Read their stories. We pledge to undertake regular pay audits in the UK and Ireland and to publish the results. Transparency around pay and our commitment to reduce our gender pay gap is one element of how we strive to achieve better gender balance through our organisation. 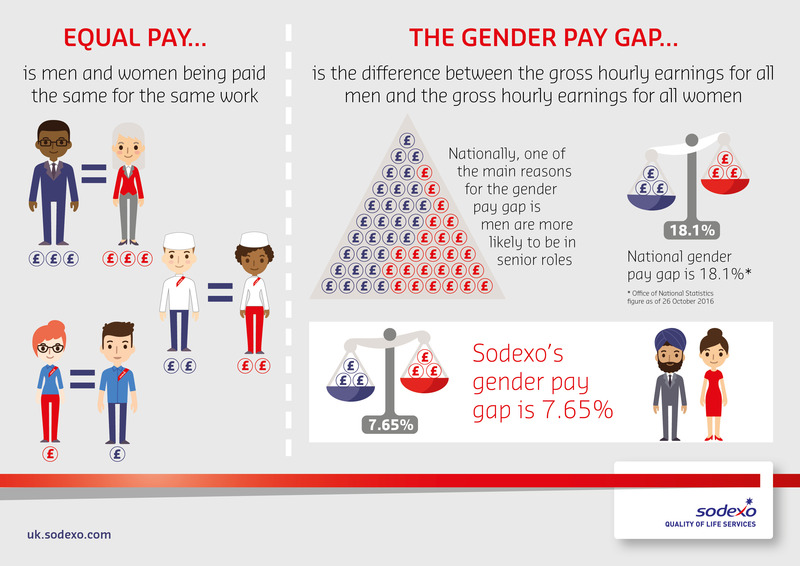 Sodexo published gender pay data in October 2017 to become an early adopter of new UK Government legislation. “At Sodexo we believe achieving gender balance is not only the right thing to do, it also enables people and our business to perform better. This belief is supported by global internal research which found our own gender-balanced management teams outperform those that are not across a number of key performance indicators. 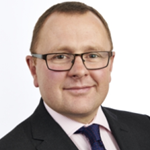 Andy Rogers, Sodexo UK & Ireland HR director, answers questions about the gender pay gap in a short interview. Listen to this podcast below, on iTunes or on your podcast app. This is part of our commitment to the armed forces and we continue to support our staff in becoming reservists. Sodexo has received gold Employer Recognition in relation to the armed forces covenant and for support to the UK armed forces community - the highest badge of honour from the Ministry of Defence for its commitment and support to the UK armed forces community. Reducing re-offending is at the heart of what Sodexo seeks to achieve, and forms part of the company’s mission to improve quality of life in the communities in which it operates, encompassing economic, social and environmental development. In line with the Government’s commitment to reduce reoffending, we are committed to the employment of ex-offenders and pledge to employ 40 ex-offenders or offenders on Release on Temporary License (ROTL) in the UK every year. Sodexo has chosen to support Ban the Box i.e. removing the tick box from application forms to allow ex-offenders to fairly compete for jobs. Our pledges highlight our conviction that a business responsible for delivering public services signs a social contract, as well as a commercial one.